We are all happier when we feel we know what is expected of us. Even our dogs are happier when they know how to behave in order to get treats, toys and love. Yet, we are often very tolerant of bad behaviors in our pets. In fact, nearly 25% of dog owners have never tried to train their dogs (APPA, 2010). Taking the initiative to train our dogs in a few areas can greatly increase the quality of life we enjoy with our pets and even how much we love them. Communication is key in any successful relationship. When we start training our dogs effectively, we are communicating with them on a whole new level. Your dog feels good because she knows she did what you wanted. You feel good because you accomplished something and may have even solved a problem. The experience creates a positive foundation for more of the same. 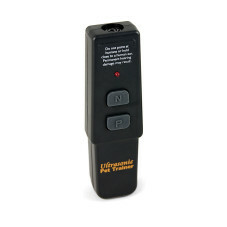 Before you know it, you and your dog are communicating better than ever before. Once you’ve got your communication down, watch for those behaviors that your dogs do naturally that could be coached into tricks or fun play. We discovered that, with a little training, our newest dog Finn could fetch a ball. It might not seem like but it’s entertaining to watch and it’s been a great confidence-builder and good exercise for Finn. With a behavior like this, you’ll know your dog is enjoying the experience. Plus, it can be much easier to encourage an existing behavior than teaching a brand new one. ABOUT ROBIN Robin Hawn is the Senior Brand Manager of the PetSafe Family of Brands for Radio Systems Corporation, head quartered in Knoxville, TN. She works to build a brand of products designed to give consumer more of the best moments they can possibly have with their pets. She has a MBA with a Marketing Emphasis, a B.A in English, and 10 years experience developing and launching marketing plans, brand strategy and PR campaigns across a variety of diverse industries. Her French bulldog Buckley typically logs the same hours at the office as Robin. She volunteers with the Most Pet Friendly Community initiative that has a mission of making Knoxville, TN the most pet friendly community in America. What Cat Breed Is Best for your Home?